Epson XP-30 is one of the smallest all-in-one inkjet printers in the market. The device offers surprisingly high-quality document, photo and graphic prints. Along with the small footprint, it also offers 6-colour photo printing, CD/DVD printing, ADF, wireless connectivity, mobile printing, and fax. Epson XP-30 is a simple looking printer with a shiny black colour. The device features 30-sheet ADF and flatbed scanner. The printer also has a large touchscreen control panel at the front. It has two separate paper tray; one has 20-sheet photo paper capacity and another one, at the bottom, can hold up to 100 plain sheets at a time. The printer also uses high-quality XL Epson XP 30 ink cartridges. Epson XP 30 is a surprisingly small printer for home users and professional photographers. The small unit has many advanced functionalities that the other larger and expensive all-in-one printers in the market does not offer. The printer has 30-sheet ADF, wireless and mobile printing, CD/DVD printing and many more attractive features. Even after having such a large number of feature and small design Epson XP 30 does not compromise with the print quality. The printer offers high-quality image and graphic prints with a maximum resolution of 5760 dpi. It can print up to 26 monochrome pages per minute and can also print glossy images. The printer is a perfect choice for home users and photographers, however, its slow colour printing makes it little less suitable for office work. You can also opt for EPSON XP 30 ink 18XL multipack to save more on your printing expenses. Check the following if the printer does not operate or prints nothing. 1. Install the printer driver. 2. Check the Epson XP 30 ink cartridges and reinstall if they are on low ink or empty. 3. 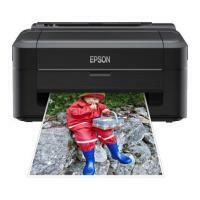 To print photos easily, install Epson Easy Photo Print. 4. Connect the interface cable securely to the printer and the computer. 5. If you are using a USB hub, try to connect the printer directly to the computer. 6. If you are using the printer over a network, make sure the printer is connected to the network. You can check the status by checking the indicators on the control panel or by printing the network status sheet. If the printer is not connected to the network, see the Network Guide of your printer. 7. If you are printing a large image, the computer may not have enough memory. Print the image at a lower resolution or a smaller size. 8. In Windows, click Print Queue on the printer driver's Maintenance tab, and then check the following. Check if there are any paused print jobs. Cancel printing if necessary. Make sure the printer is not offline or pending. If the printer is offline or pending, clear the offline or pending setting from the Printer menu. Make sure the printer is selected as the default printer from the Printer menu (there should be a check mark on the menu item). If the printer is not selected as the default printer, set it as the default printer. 9. In Mac OS X, make sure the printer status is not Pause. Select System Preferences from the menu > Printers & Scanners (or Print & Scan, Print & Fax), and then double-click the printer. If the printer is paused, click Resume (or Resume Printer). 10. Run the nozzle check, and then clean the printhead if any of the print head nozzles are clogged. Make sure you have enough ink in the Epson XP 30 ink cartridges, as the process may use a lot of ink to clean the nozzles. 11. If you are using the printer through AirPrint, enable Paper Configuration in Setup mode. If this feature is disabled, you cannot use AirPrint. 12. Try installing new Epson XP 30 ink cartridges as it may be possible that the cartridges are faulty. Q. What should I do if the paper is not feeding properly? The paper is not crumpled or damaged. The paper is not overloaded. There is no paper that is jammed in the printer. The paper does not have any binder holes. The ink cartridges are not empty. Q. Are there Epson XP 30 ink cartridges of other colours also available for this printer? A. Epson XP 30 printers only use black, cyan, magenta and yellow ink for printing. Hence, you will not find ink cartridges of any other colour available for this printer. Q. Do you also provide paper that can be used with my printer? A. Yes we also provide a range of paper media that can be used with your printer. Just make sure that the paper you wish to buy is compatible with your printer so that no damage is caused to the printer. Q. I have spare ink cartridges from my Epson XP 30 printer which no longer works. Are there any other printers that are compatible with Epson XP 30 ink cartridges so that they are not wasted? A. Yes, there are various printers that use the same ink cartridges as the Epson XP 30 printer. Epson XP 312, XP 415, XP 325 are a few examples of printers that use the same ink cartridges. You can find the whole list of printers compatible with the ink cartridge on the packaging of the ink cartridge or you can also find the list here. Q. What if I am not available when Epson XP 30 ink cartridges are out for delivery? A. Our delivery service delivers products from Monday to Friday between 9am to 5pm. Incase you are not present at the time of delivery, we will attempt to make another delivery of the product to your house. If the delivery is still unsuccessful, the product will be taken back to the main warehouse and an additional charge of €4.95 will be charged by us for any further delivery attempts. Q. What precautions should be kept while handling the ink cartridges of EPSON XP 30 printer? Q. While printing a document my printouts are missing colour or print black only. What can I do? Q. I am looking for a small easy to run printer for my office. Would the Epson XP-30 suit or is it too small for an office? A. Generally, the Epson xp-30 is purchased for home use. Small tasks like printing tickets, small family photographs, concert and travel tickets. This is not to say it will not fulfill your office requirements. Depending on what your business is and the size and quality of print jobs. Q. Will compatible Epson xp-30 ink cartridges install relatively easy or do i have to buy originals to ensure everything works? A. The compatible Epson t1811's (18xls) are hassle free to set up and install in your printer. Epson compatibles in general cause little hassle and this model is no different. Just be careful with what printer updates you install. A. Yes we offer next day delivery as long as the order is placed before 12pm. Q. I only use paypal when paying online can I use this to pay on your site? A. Yes we can accept paypal payments as well as credit or debit cards. Alternatively you can pay via telephone. Q. Can I alter the number of each colour in the multipack of 8 compatible EPSON XP 30 ink cartridges? A. No, you can alter the number of colours only in the multipack of 20 cartridges. Q. I wanted to print photos from my EPSON XP 30 printer and was worried about ink getting exhausted during the task as it will hamper the photo quality. How should I make sure that the ink of the EPSON XP 30 ink cartridges does not exhaust while printing? A. Usually, the Epson printers alert the user about the low cartridge inks by flashing the indication of stop, maintenance or ink. You can also monitor the level of ink in your EPSON ink cartridges through the Epson status monitor on your PC which is a utility application that is accessible via the print dialog box or the control panel. This feature lets you know about the low ink in the cartridges. Before start printing the photos make sure you check the ink level and also check ink levels periodically while printing. This will give you an estimate about the number of copies you can print further. Q. Can I print on both sides from EPSON XP 30 printer? A. Yes, you can print on both sides of the page but you have to do it manually. EPSON XP 30 lacks automatic document feeder. Q. I have EPSON XP 30 printer in my cyber cafe. The ink gets exhausted really quick, especially the black cartridges while cyan cartridges are not used that extensively. Your multipack of 20 EPSON XP 30 ink cartridges have 5 cartridges of each colour but I want black cartridges more than the cyan ones. Can anything be done about the same? A. We are very flexible in letting our customers alter the number of cartridges they want. We would recommend you to buy the multipack which has 20 compatible EPSON XP 30 ink cartridges. You can alter the count of the colours according to your needs from the following link: https://printerinkcartridges.ie/epson-18xl-multipack-ink-cartridges. All you need to take care is of the count of all cartridges sum up to 20. Buying a multipack is more economical than buying single 20 cartridges. Q. How many cartridges does EPSON XP 30 printer use? How to install the cartridges? A. EPSON XP 30 printer uses 4 ink cartridges i.e. Black, Cyan, Magenta and yellow ink cartridges. The printer is user friendly and have dedicated slots for separate colour cartridge with the colour marked on the slots to avoid confusion. You just need to insert the respective colours into the slots. Q. What are the payment options available when I order from the site? I wanted to buy EPSON 18XL ink cartridges? A. The EPSON 18XL ink cartridges are available in black, magenta, cyan and yellow colour. We offer compatible multipacks which are cost effective. We let you pay at checkout through PayPal and regular cards. If you require any assistance about the payment you can contact our customer care on +44(0)28 308 33221 which is open to solve all your queries. Q. Do your compatible EPSON XP 30 ink cartridges require any special care so as to work efficiently? A. Our compatible EPSON XP 30 ink cartridges are designed to deliver best results. Make sure to store them at room temperature and avoid extreme climate changes thereby keeping the ink intact. For optimum results make sure the ink levels are sufficient and the nozzle heads are clean before printing. If all these conditions are satisfied then these EPSON ink cartridges deliver great and vivid quality prints.